Dark amber color. Aromas of charred raisins, marcona almonds, dried olives, butterscotch, and clove cigarettes with a round, lively, fruity full body and a peppery, layered, long salted orange liqueur, polished mahogany, chocolate covered cherries, sandalwood, marinated red pepper, and spiced cider finish. A richly flavored and boldly textured whiskey for toasts and celebrations. 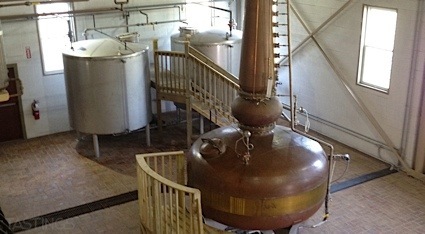 Bottom Line: A richly flavored and boldly textured whiskey for toasts and celebrations. 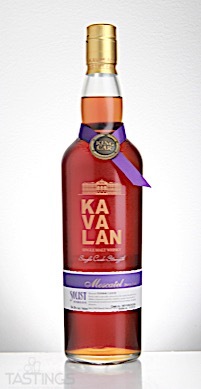 Kavalan Solist Moscatel Sherry Single Cask Strength Single Malt Whisky rating was calculated by tastings.com to be 96 points out of 100 on 7/24/2018. Please note that MSRP may have changed since the date of our review.